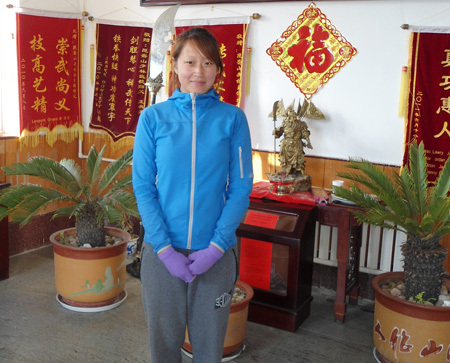 Returning student Barbara will return in 2013 June to learn for another four months till 2013 October at Kunyu mountain Shaolin kung fu school. 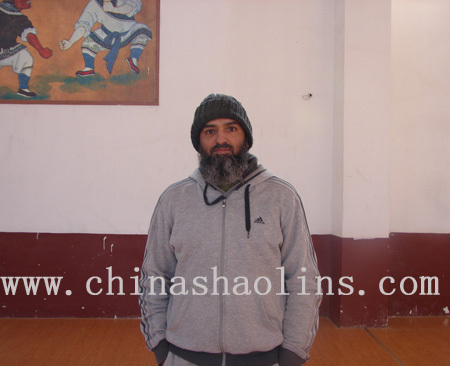 Since I arrived at Kunyu mountain shaolin martial arts academy, I have learned a lot about combat techniques of sanda (Chinese kick boxing)and traditoional shaolin kung fu , I have improved my physical condition ,my power and my punching. My kung fu master knows and really care about students and knows have to push them over their limits.The translators do very good job, they translator also help us to make the life easier in the academy. Thank you shi fu (masters )and translators for the good job you do with us. Daily life is good in the academy, we have all what we need. The city we are,Yan tai, is nice and beautiful. 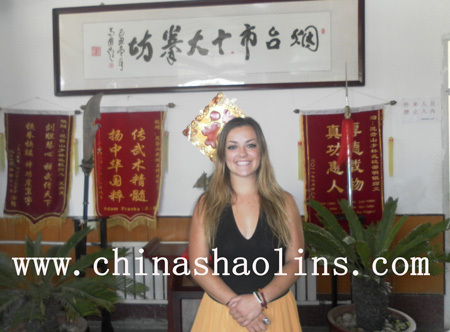 Barbara learn shaolin kung fu for four months here. Philip Margette(Germany):This time:Two months study. Back home again! 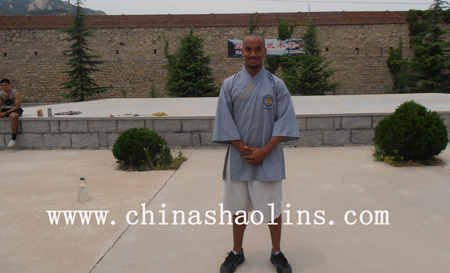 Coming back to Kunyu mountain shaolin martial arts Academy to train for two months was a nice experience. I was glad to see my Master as well some of the old students still training kung fu here since I left the Academy 10 months ago.During my stay here I was able to push myself further and further and I achieved more than I hoped for, even though I hadn’t kept up with my training during my 10 months’ break.All the kung fu Masters put a lot of effort into the training and I could train with them and experience their methods of teaching. The handful of dedicated people that love training as much as I do kept me going and I will always remember the good suffering times we had together.On the weekends we could relax either outside at the lake or take a cab to Muping or Yantai and enjoy our free time.Many thanks to all the translators in helping us out to communicate with the Masters. You will be missed. I wish all the best to the Masters and translators, as well to the handful of dedicated and crazy people I’ve trained with and call now friends. Always train hard and if you’re not in pain by Tuesday morning or half dead by the end of the week it means you haven’t trained hard enough.You can be the best and strongest in what you are doing with manners, politeness and respect. Philip took part in International Traditional martial arts competition. I absolutely loved training with my shaolin kung fu master. He is so happy and cheerful to be around which encourages you to keep training, although he pushes you to your potential. When he performs, he is so inspirational. It is indescribable. One word -amazing! The translators are so helpful and friendly. They make the stay at the academy so much more enjoyable. I am happy to say they have become my friends, hopefully for life.Also the friends I have made here, will definitely be my friends for life. I will 100% most definitely will be returning as I feel so at home here.The academy atmosphere is positive and fun. The surroundings are beautiful and it is nice to be iscolated in such an amazing place. The screen mountains and lovely weather are very perishing to take us to. There are so lots of activities to do in the academy also, to keep busy.Yantai city is beautiful, especially in spring and summer. There is lots to do on weekends and the people are very friendly. Also the local food is amazing. I really like the training schedule at kunyu mountain shaolin martial arts academy. The translators were fine and the masters were awesome (especially my shaolin kung fu master)I like more meat in the food.Everything else was fine. For the duration of my stay, I trained in the Mantis group,my mantis master has been my teacher, my mentor, my coach and my friend during my whole stay. I couldn’t have imagined a better Master for me. He was always there when I needed it and always pushed me further in my training. My master invests a lot of time in keeping a good atmosphere in the group. His teaching style is very involved and he takes the individual characteristics and personality of each student into account. That, in my opinion, is the mark of a great teacher. All the translators have been of great help to me in making my stay as comfortable as possible. 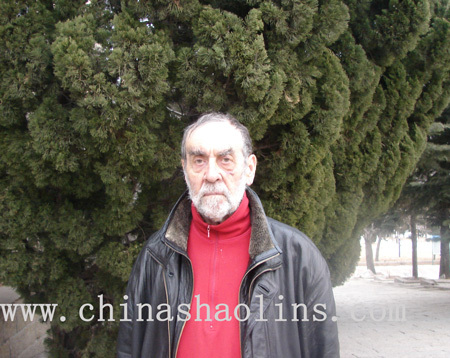 They were always ready to help me with my Mandarin, as well as any other questions or problems that arose. The food is generally nutritious enough. The Academy has definitely been listening to student’s comments as they have been aiming to improve the quality of the meals. In which they have already been successful.The surroundings of the school are beautiful, especially in Spring and Summer when everything is in bloom. Yantai city is a good place to go and blow off some steam during the weekends. If you take the time to explore the place, you can discover some nice shops and spots. 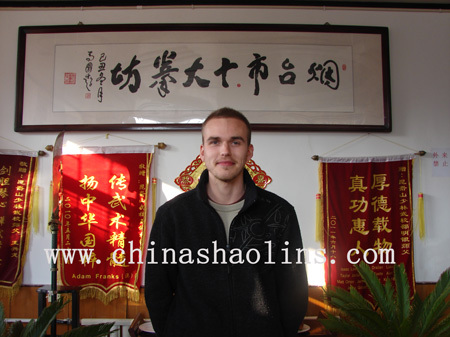 I was very happy with the training at kunyu mountain shaolin kung fu academy. I will miss my master and all the translators, everyone is very nice. The daily life surroundings of academy all was fine. 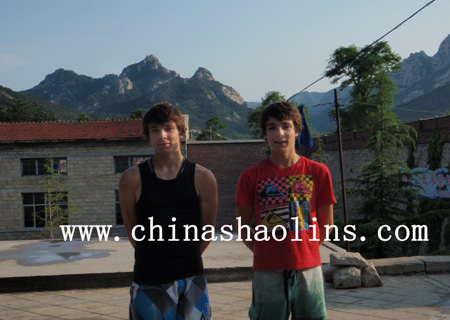 Josh's Brother:Duncan :I stayed two month shaolin training at kunyu mountain academy with my brother.The training here is Excellent.My master is the main reason that I will come back for .All fine. Yantai City is very nice. Bothers learn shaolin kung fu and Chinese kickboxing for 2 months. 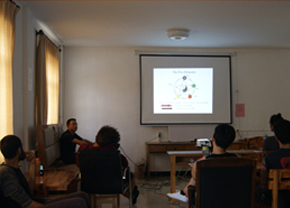 The training at Kunyu received here has been a very high standard. Being a new student to martial arts, my master has been very helpful and patient with me when learning techniques. He pushes you to strive for perfection on forms that you are learning, whilst educating you on applications. 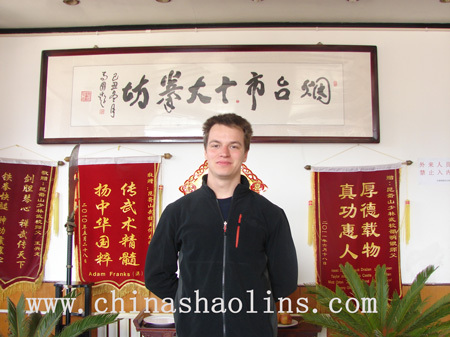 The translators have been an important part of life in Kunyu Martial Arts Academy. They have been very helpful in bridging the language barriers when trying to communicate with the masters. In addition they have also been very helpful in supporting students while staying at the school. The daily life is exciting when training but peaceful after. Students are helpful and friendly. Meal times are good, with food being at a good standard. The surroundings of the school are beautiful. The city is a good break away from training with lots to do. The street food is great. And shopping needs are met when setting in within the school. It’s obvious that the masters are dedicated to kung fu and the training. I enjoyed working with my kung fu master. I thought his training sessions were challenging at an appropriate level. He was able to push individuals according to their individual needs. I appreciate when I received individual attention and suggestions from shifu Shao. Thank you very much shifu Shao the entire stuff. I’ll keep training.The natural surroundings of the school are beautiful and a major selling point. No better place to study kung fu.Most of the students are genuine and hard-working students. I have enjoyed my time at kunyu academy. Returned to study for another six month in 2014. 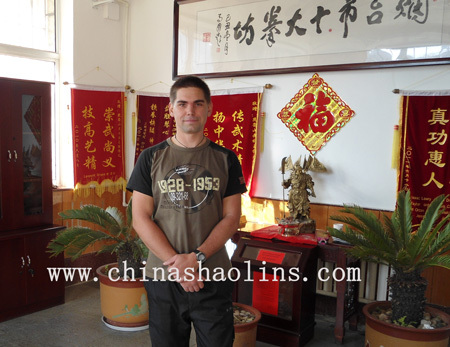 I spent a all year in Kunyu mountain Martial Arts Academy and I am very glad of everything I achieved here. I improved myself a lot both physically and mentally thank all the great masters of this academy. I really want to thank my Tai chi master, and my shaolin master master. 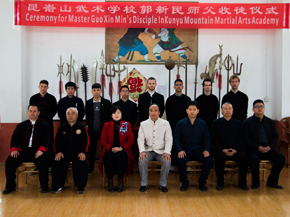 All the masters of Kunyu Mountain Academy are very skilled, patient and know how to make you become stronger. The translators make a good joy even if it is a little bit translating.I had a really good time here. The daily life is peaceful and the surroundings are beautiful. I trained Mantis and Bagua for nine month at kunyu mountain shaolin martial arts academy.I am very happy with my training. I am very glad I got to learn a little more than the things I learned in Mantis. Mantis Master and other Master are very different but both taught me well.I love to learn kung fu here. My master always inspired me to do my best. He also understood and took care of me while I was injured or ill. I have great respect for him and wish him all the best. The mantis group is like a family to me and that is something Master Qu teaches us supporting each other makes the training more enjoyable and good in general. The translators are good, some may need more experience but that will be OK after some time. Their Chinese classes could be better organized.The academy is beautiful, training hall is good, area around academy pretty. Yantai city is nice and it is easy to find your way around. 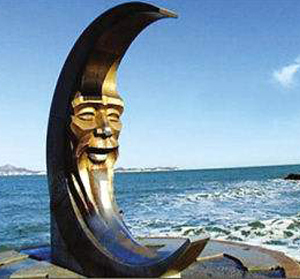 It is important for students to get away from the training sometimes and Yantai is a good place to spend a weekend. 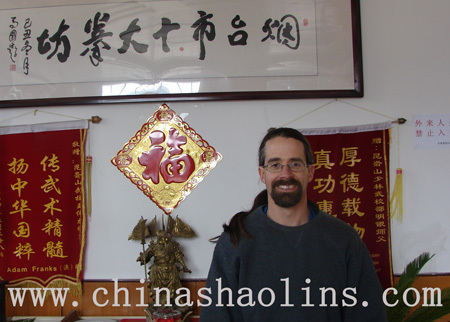 I spent one year to learn kung fu in Kunyu mountain shaolin kung fu academy .The masters are amazing.The academy is very good place to study kung fu. I am very happy of my master and my mantis group. I did a very well year. I will come back. Translators are very nice and friendly.The city we located is Very good.I recommend. Mathias returned in Jan 2013 for another two months training. Training here is awesome! I love it. I respect Master a lot and I also think that he is a very good trainer. I hope I can come back here at some point and train more with him! I feel like I got a lot out of the training and that I have learned a lot even though i stayed for a short term .The translators are very nice. They are fun to talk to and without them it would be hard to understand the masters. I like it here. The surroundings are very nice. All the mountains and stuff. People here are very nice and that is very good.Yantai city is cool. There are good bars and clubs and a lot of nice people. It is easy to get around with a taxi and it is also not expensive. Training: excellent, very well detailed ,very organized, very very good. All masters are excellent! Master was my master. He cares for all his students. If you want to learn, he will teach you. My master’s acrobatic skills are amazing. He is a great Shaolin kung fu master.I also enjoyed my master. He is also a great master. Translators: They have a difficult job. They work long hours. They support the academy, the masters and the students.The area of the academy is beautiful.The city yantai is very nice. It has everything like a big city. Good training in the winter months because the groups are small.Good training schedule with a mixture of sanda(Chinese kick boxing), forms, basics and muscle training. Very good masters,though not every shifu is good at everythings. Some of the translators are very good, new ones are good after one month. I personally really enjoyed the training with master Rong, but I wish we had one or two hours more training every day. The additional classes like acupuncture, or mandarin are a very good idea. 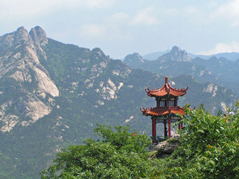 The academy is situated in a beautiful surroundings with mountains and the temple that’s great. Yantai city is very clean and modern for a Chinese city. You can buy everything you need there. And have a nice western dinner if you want to. The masters of kunyu mountain shaolin martial arts academy was awesome. Even though we were only able to stay one month he customized our training to help us focus on specific aspects of mantis. He was always firm but fair and made us feel comfortable in training. The translators work very hard here but are always friendly. They were always able to help us. The city Yantai is Nice. Our master was very knowledgeable and a very good teacher. The translators were all very friendly and helpful.The nature around the academy is very beautiful. 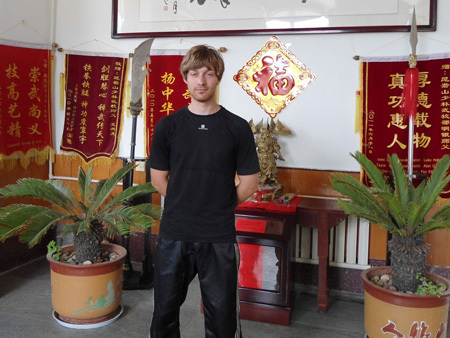 I had an amazing 10 weeks here to learn kung fu in China kunyu mountain shaolin kung fu school!!! The training was really good and I enjoyed learning from all three of my masters. Especially master Xu teaching was very fun. He is very kind and understands how to teach new students with little experience.It was wonderful to meet all of the wonderful, sweet and kind translators. They were all very helpful whenever I needed something.Wonderful setting in the mountains! Very quiet and calm. The city is very nice to do the shopping and have some food on the weekends. I loved training with my master. My fitness is a lot better than when I first arrived. I feel I can take home what I have learned and continue my training at home. Thank you very much.The translators were also very helpful. I loved the surroundings and the people. I have met a lot of new close friend. 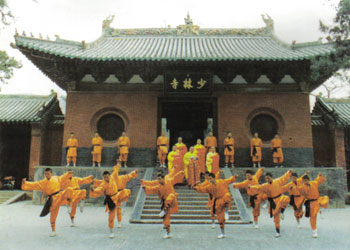 kung fu training experiences from Kunyu mountain shaolin kung fu school. The masters were really great .The kung fu trainings was good .The translators helped a lot .This was definitely a great moment in my life and it will be in my memory for the rest of my life . Made some great friends and the scenery was beautiful. The city was good had good time when I went in. My master was an excellent kung fumaster for me. I appreciated his patience in teaching Shaolin kung fu. 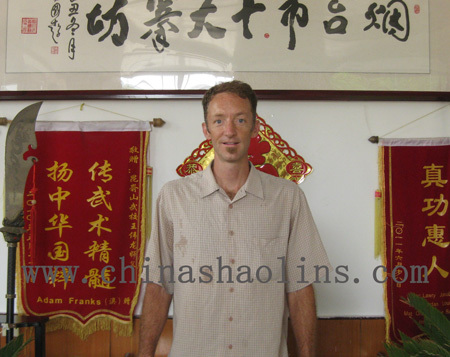 It must be very difficult teaching western adults beginning Kungfu, but Master Shao was willing to help me when I had trouble and was personable in his approach. Master Guo taught my Chi kung class and feel I developed quite a bit in the two months I was here. I appreciated his breadth and his smile, even when he had to correct my Taichi in the evening. I definitely would have struggled without the interpretes’ help. I admire Wynne’s hard work in improving her skills by asking questions and taking notes. Really appreciate the training and the shaolin kung fu master.I could learn and train myself a lot during these 3 weeks. Nice rooms.I will come to continue to learn next time. Yantai is a nice city. The training here was exactly what I was looking for, and more. I have gained so many new skills and a much higher level of fitness due to the five days a week training schedule. Very happy with kung fu training. All the masters here are incredible at what they do. They are stern and preach discipline, but at the some time very friendly and genuine people. I really enjoyed all my encounters with all the masters here especially master Rong. Even with a slight language barrier, I feel I made a good connection with master Rong. He pushed me hard, and I have learned so much from him. He is a friendly man as well as stern so its nice for me as his student to train hard when expected of me, but to be able to have a joke now and then with him .I could not have asked for a better person to learn from. I shall miss master . All the translators here are very friendly and helpful people .I found their English very good most of the time, and they weren’t sure on a particular word or phrase, they were willing to learn by asking us students. Daily life here is very pleasant, lots of amazing people to socialize with, and to make new friends out of. The academy has a simple way of life about it, but that is what I was looking for so I have no bad words to say about it. 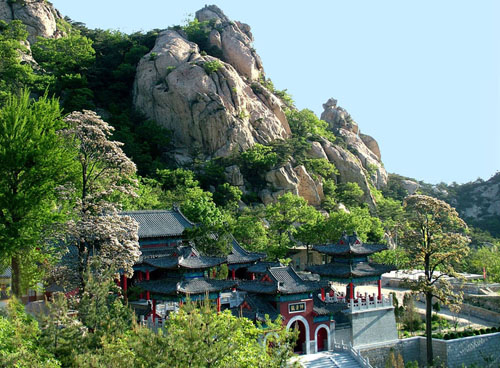 I loved the surroundings here, ie: the mountains, trekking up a mountain on your day off is strongly entertaining, and some pleasant sights to see, such as the temple. Ｉam so sad to be leaving all this behind. Yantai city was fun. at the weekend it was nice to be able to go shopping, have a massage, get some dinner and relax a little after a week’s training. I thoroughly enjoyed my time here. My master is an excellent Shaolin master. I had fun while life of shaolin kung fu training enjoyable. He is very skilled and have great patience. The translators are very helpful. I plan in coming back and study for a year more.The school is very peaceful, clear air, good surroundings and amazing mountains.Yantai city is a beautiful city and enjoyable. Training experience at Kunyu academy, the greatest training I have ever done. Thanks to all workers and specially to Master Guo. As far as my master Guo I cannot expect more from him on both physical and mental. 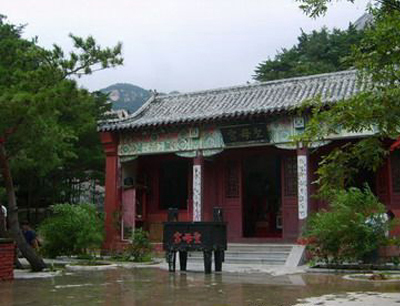 I am very grateful to Master Guo, surrounding of the school is beautiful, peaceful very relaxing and quiet. Amazing view of mountain. I also feel very lucky to meet nice translators. They always make everyone feel happy.The mountains surroundings the school are breathtaking.Yantai is a very nice city. Also beautiful at night when the colorful lights go on. My training here was very good. I learned a lot in the time I spent here. My master was very good and patient with me while I was training and if I was not training hard he would punish me to motive me. The translators did an ok job. I could understand them most of the time and if I need help I could always ask them.The daily life is good here. I like the summer very much but as it got colder it was still good. The people make the school good.Yantai is a very beautiful city and there is a lot to do. Gerard Geirhardur(Iceland) 71 years old. 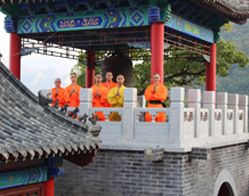 The kung fu experiences of Kunyu mountain shaolin martial arts academy. I enjoyed the study here.The training with master is excellent.Beautiful surroundings of school.